I was surprised during the big Back-to-School sale at TeachersPayTeachers to find that one of my big sellers of the event was my Plot Task Card resource! I created this resource late last April, and while initial sales were fine, they didn't lead me to believe that I had a "Top 10" product or anything like that. :) While I still think that chances of that are slim, the surprising sales of it last weekend delighted me! As I tried to figure out the reason for the increased interest, I recognized that it makes sense to hit this concept early in the school year. 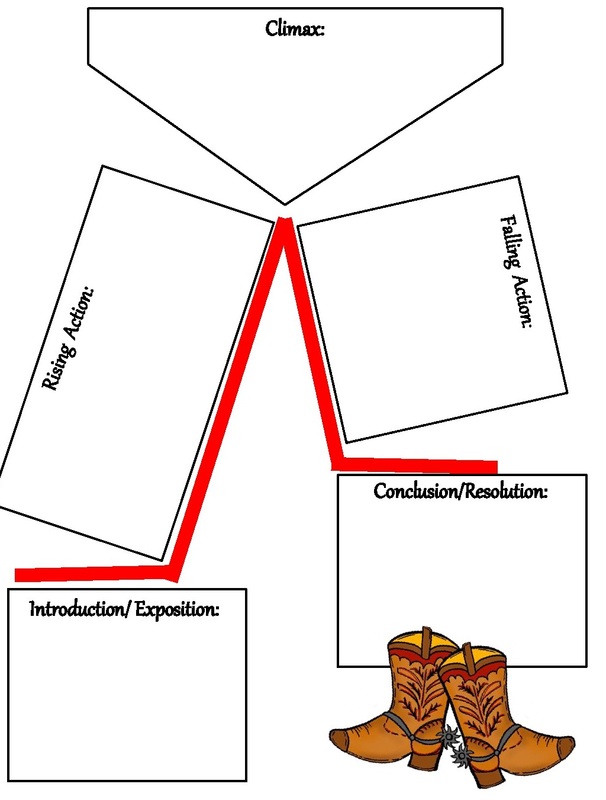 The ability to recognize the elements of plot is a basic concept that my students typically catch on to fairly quickly. It's also important for students to understand this concept before moving on to "higher-level" or more abstract concepts of literature such as main idea, theme, mood, etc. 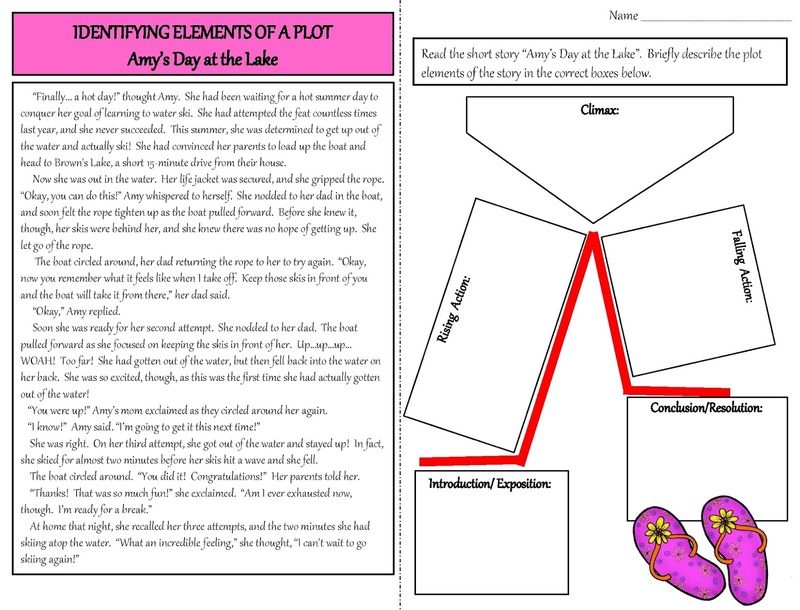 So, for those of you who haven't seen the Elements of Plot resources I've created, I thought I'd share them with you! I will also note that I intend to incorporate this into the interactive notebooks I am implementing with my fourth graders this year. 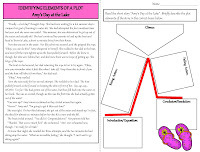 I will make photocopies of the plot diagram and give one to each student. In each element's "box", I will have them list a description for it. This will then be available for them to reference back to later in the year as needed. I will also make brief mention of my Plot Elements Craftivity, too. 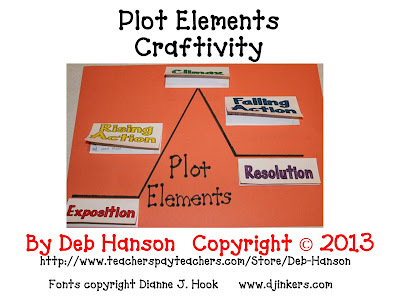 It is an engaging, hands-on activity that I think works great when first introducing the concept of plot to students. On Day 2, as a class, we reread the story and then identify the plot elements as a group. This gives students the opportunity to correct any mistakes on their worksheet. Everyone then completes the craftivity by following the directions that I have placed under the doc camera. As always, though, no need to wait to purchase these products if you are interested! If you win them after you've purchased them, I will let you choose other resources at my store (up to $6 in value). Yeah - I'm leaving the first comment - I LOVE your colorful blog, and I'm so happy that you are doing a giveaway! Hi! I love to teach inferences at the beginning of the year. It's one of my favorite concepts to teach :) Thank you for the giveaway! Thanks for the giveaway! I hope I win!! I like to emphasize reading for meaning, and that different materials require different reading rates. There always seems to be at least one child that thinks to be a good reader means speeding through the material or just saying the words. I like to tackle author's purpose and genre early on in the school year. These are really hard for third graders. I usually start with inferences and how to locate evidence in the book to back up our answers. I start with plot too! 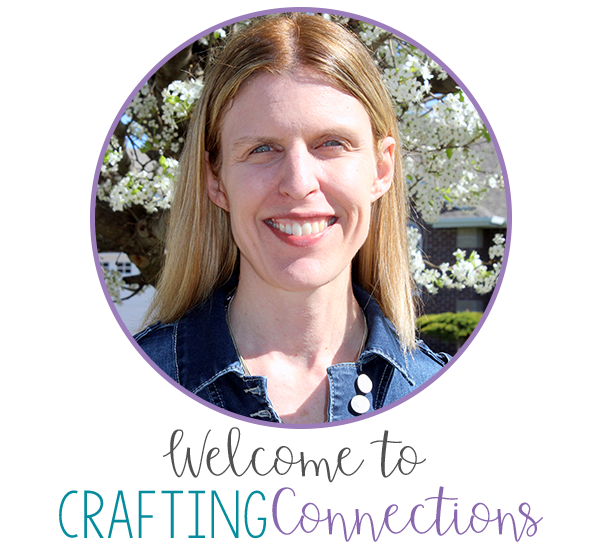 Love all of your craftivity products! I have a feeling I'll be hitting up your store a lot this year! I'm tackling genre with your genre craftivity. I always like to review comprehension strategies when the year begins, especially visualizing. I think it helps so much if kids can make a picture in their minds as they read. I hope you will stop by my blog next Sunday and link up with my new linky party, "A Peek at My Week." I'd love for you to share your great ideas! I teach 6th/7th grade ELA in Japan, so most of my students are ESL. I am constantly struggling to find ways to keep their attention and help them understand and retain what we learn. Love your ideas! 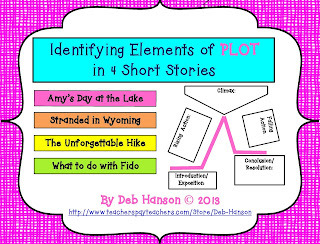 Usually the first thing I teach in ELA is elements of a story, parts of speech, writing process. We start with Friendly Letters and use them all year to write to each other. We also write a friendly letter format to parents each Friday telling them what we learned that week.